SB Rail’s KRC 250 cranes are the perfect tool for undertaking electrification mast, portal or boom installations. Higher power, reach and versatility of the rail cranes reduces the number of machines and movements required on site, increasing productivity and improving safety. 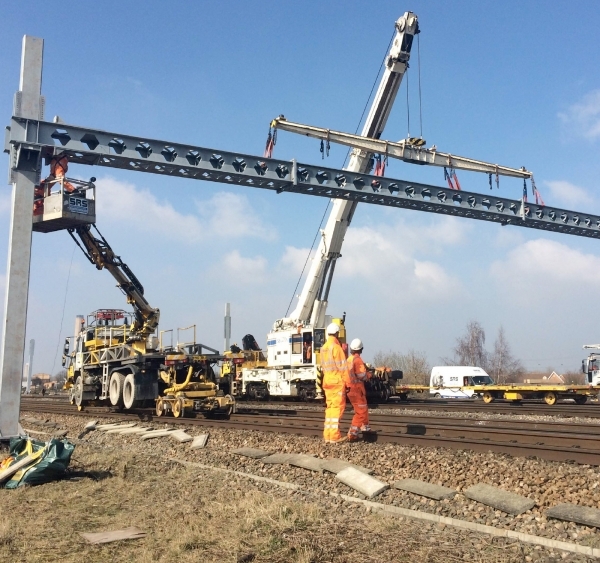 SB Rail’s KRC 250 cranes maximise the boom span and weight lifting capability as well as reducing human-machine interfaces to improve safety when installing large spans.